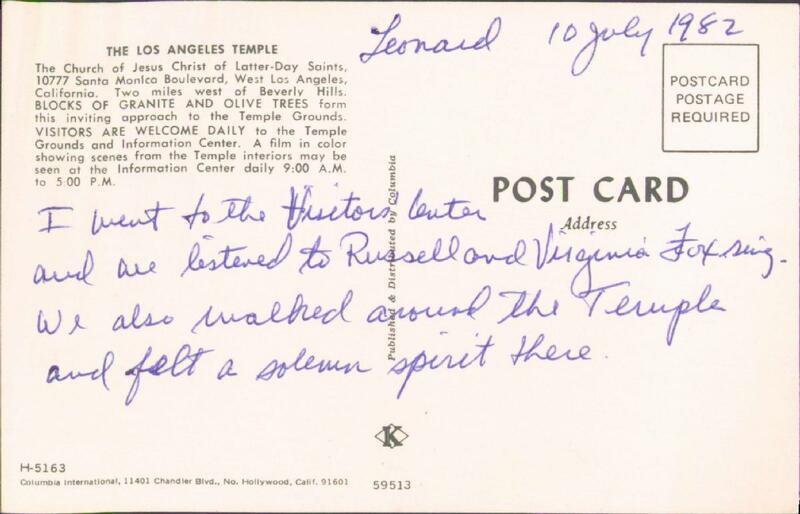 (LEONARD) I went to the Visitors' Center and we listened to Russell and Virginia Fox sing. We also walked around the Temple and felt a solemn spirit there. The Church of Jesus Christ of Latter-Day Saints. 10777 Santa Monica Boulevard, West Los Angeles, California. 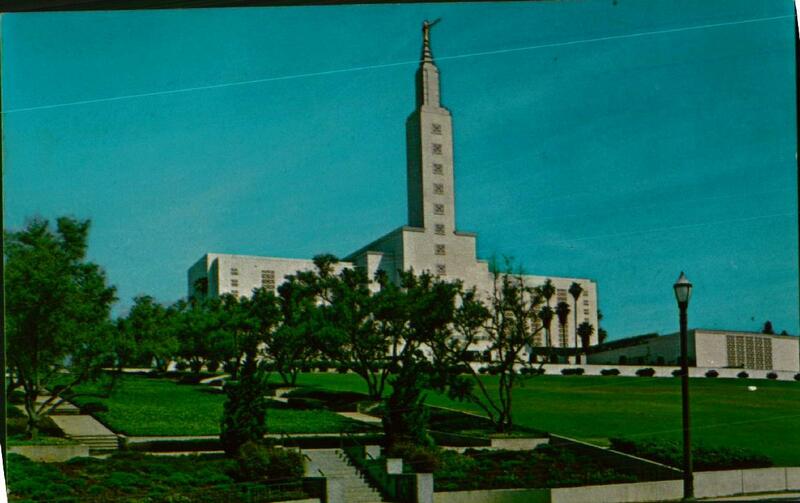 Two miles west of Beverly Hills, BLOCKS OF GRANITE AND OLIVE TREES form this inviting approach to the Temple Grounds. VISITORS ARE WELCOME DAILY to the Temple Grounds and Information Center. A film in color showing scenes from the Temple interiors may be seen at the Information Center daily 9:00 A.M. to 5:00 P.M. I'm gonna go out on a limb and say that my dad did not consult me before writing from my POV that we "felt a solemn spirit".